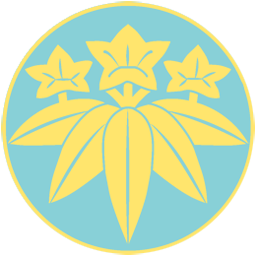 The Minamoto are a cadet branch of the imperial family, directly descended from Emperor Seiwa; they are, in effect, very distant cousins to the Taira, and family arguments tend to get out of hand very quickly. This was certainly the case for the Minamoto during and after the Hogen and Heiji Disturbances of 1156 and 1160. In all but name, these small wars saw the Minamoto almost destroyed by the Taira family. After 1160, the Minamoto leaders and lesser family who had not been killed were banished from court, and the Taira looked unassailable. Then the Taira went too far and, ignoring Prince Mochihito’s legitimate claims to the throne, made sure that a Taira descendant (on his mother’s side) became the new emperor. Prince Mochihito turned to the Minamoto for help, and in 1180 warfare erupted. There were many scores to settle, not least the many executions on Taira orders. The surviving Minamoto, their leaders now grown to manhood, are not without resources for the coming struggle. They train and lead fine warriors in the traditional style. Minamoto archers are unrivalled for their skills in battle, outstripping others in accuracy and rates of fire. Other troops are also well trained, and begin as experienced forces. The martial heritage of the Minamoto also means that their men are confident in their leaders, and have high morale on the battlefield. Perhaps they lack the political and administrative powers of their rivals, but the Minamoto more than make up for this by being an iron fist in an armoured tsumi-tekko!